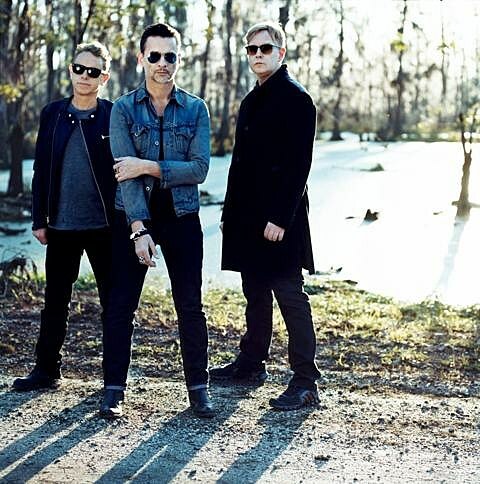 The music portion of SXSW is only a few days away (breathe deep) and one of the already-announced panel discussions is with synthpop legends Depeche Mode, whose eagerly-anticipated new album, Delta Machine, is out March 23. That happens Wednesday (3/13) at 5PM at the Convention Center and is open to those with Music and Platinum badges as well as Artist Wristbands. Some people were already wondering if they might play while here as well, and the answer is yes! Depeche Mode’s first-ever SXSW performance will happen on Friday, March 15 at Brazos Hall at 10pm. SXSW will be holding a ticket lottery that will be open to SXSW Platinum and Music badge holders only beginning TODAY at 12pm CST. Details on how that works are HERE. No other credentials are eligible to enter these drawings. Good luck! The rest of the Brazos hall show features Austin’s own Feathers (who play our free Saturday day party), The Neighbourhood, and ERIC PRYDZ.